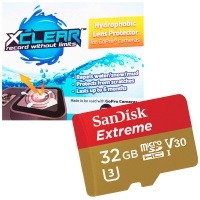 32Gb SD Card and XClear Hydrophobic Lens Protector so you don't get snow, dirt or water stuck on the lens. The GoPro Hero7 Silver Camera is awesome for someone who want's the performance of GoPro going up to 4K filming and would prefer the simplicity of just the rear screen and sealed battery. 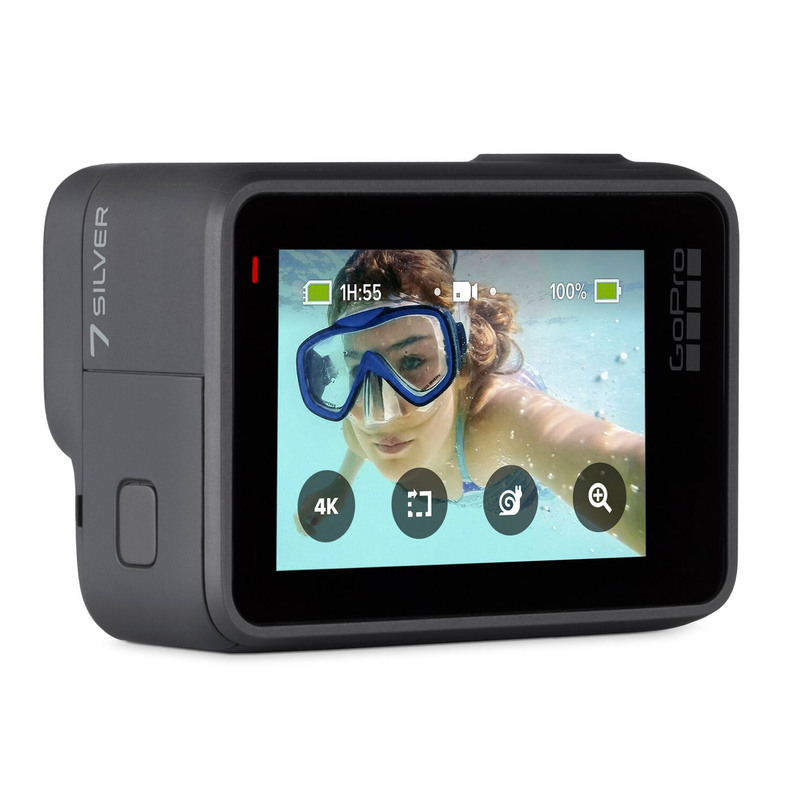 So if you are after action camera footage or using to upload to social media or video blogs the Hero 7 Silver offers great specs at amazing price. The addition of GPS Tracing and Stats and 10MP WDR Photos really sets it above the White Hero 7 along with the higher shooting resolutions. The sealed battery is not a main disadvantage as it used to be years ago as the camera is much more efficient than GoPro's of old so still able to shoot a lot of footage from the internal battery and fast charge. ATBShop have been GoPro experts for years and have always found more ways to use the cameras than just onboard footage. 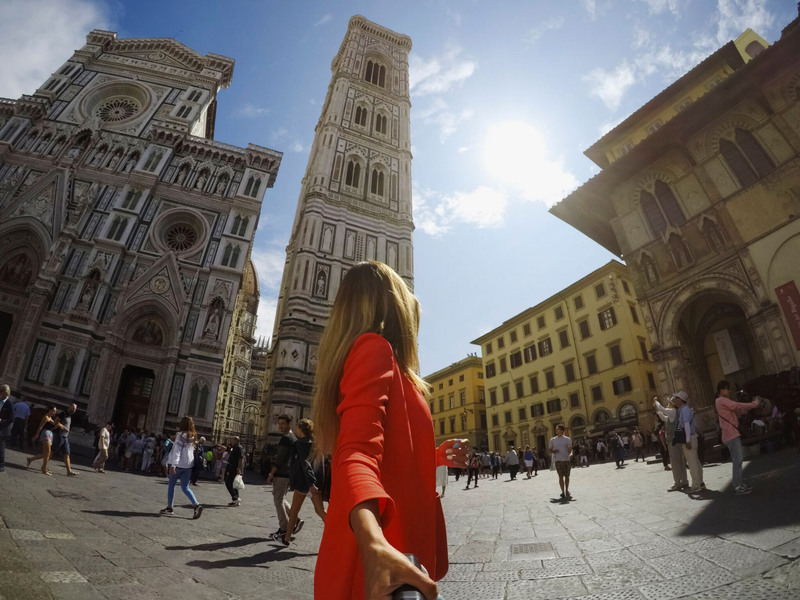 With the free GoPro Apps for Quikstories it makes the GoPro the ideal travel camera and family camera to document your life. 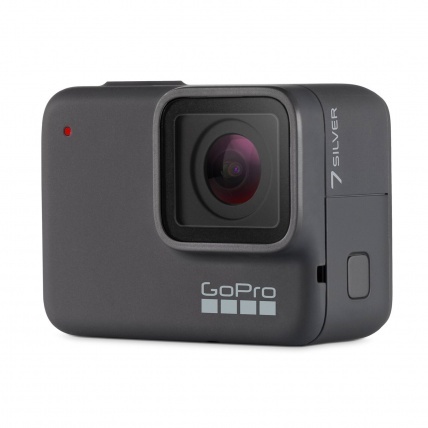 No longer is a GoPro just for extreme sports now with super easy to use features anyone can use a GoPro everyday. 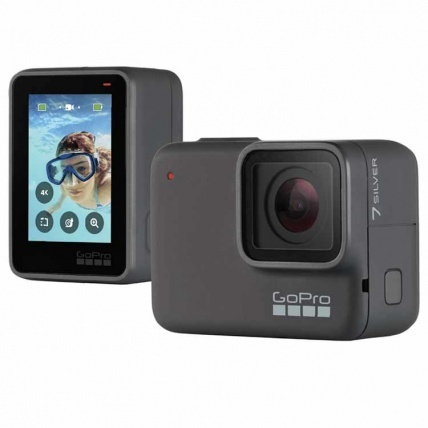 GoPro Hero7 Silver - the mid range action camera is still amazing quality and value for money 4K and 1080p video with image stabilisation, WDR photos, GPS stats, waterproof to 10m plus so much more! - Now with Free SD Card to get filming out of the box. Why should you buy the GoPro Hero7 Silver? Max Video 4K 30fps, 1080p 60fps, 10MP Photo. Bring life and definition into your photos with WDR the GoPro recognises the scene and exposure and stops it over exposing and brightens up a darker day perfect for awesome social media photos. Get closer to the action with Touch Zoom, often GoPro's were criticised in the past for being too wide a photo shot. With Linear shooting mode and zoom this now makes it more like a normal camera for travel and scenic shots. It's not a massive telephoto lens but does make a big difference! While the Silver doesn't have the Hypersmooth of the Black it does have great stabilisation built into the camera so you don't get a super shaky shot it is still smooth even if you are skiing, biking hand shooting. Actually boast about your speed, distance and elevation with the GPS overlays that are recorded by the GPS Built into the GoPro Hero 7 Silver Camera. These can be added in on QuikStories or Quik Videos to use in short Quik videos or exported to be used in your own editing software. 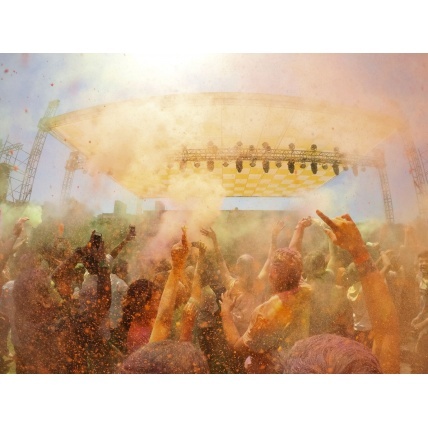 4K30 Video - Get stunning 4K video that’s as amazing as the moment itself. You can also shoot time lapse videos to turn longer events into short, shareable moments. 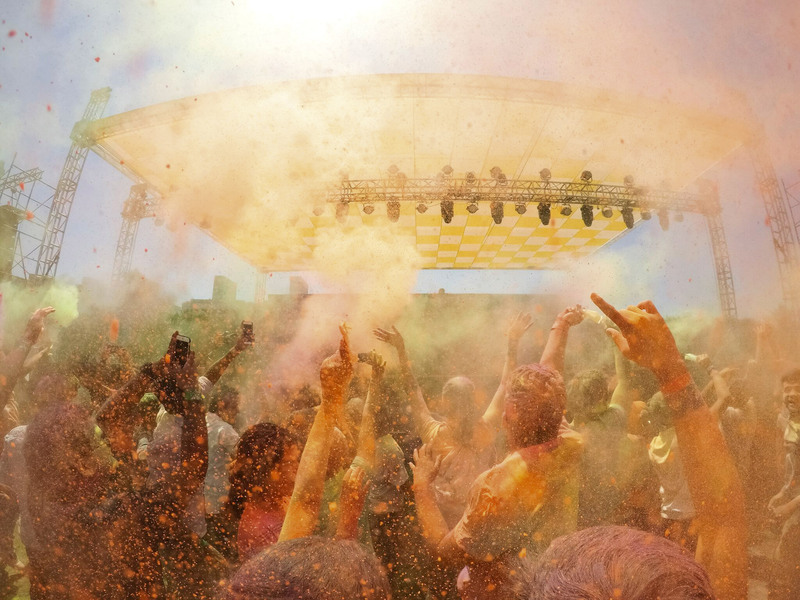 Rugged + Waterproof - Share experiences you can’t capture with your phone. HERO7 Silver is tough, tiny, totally waterproof—and up for any adventure. 10MP Photos With WDR - HERO7 Silver takes beautiful, vibrant 10MP photos—even in challenging shots that mix bright light and shadows. And with Burst mode, you can get 15 photos in one second. Video Stabilisation - Adios shaky footage. HERO7 Silver records smooth, steady video whether you’re skiing, snorkeling or chasing your dog around the yard. Photo Timer - Jump in there. A photo timer makes it easy to grab a GoPro selfi e or group shot with your whole crew in the frame. Short Clips - Capture 15 or 30 second video clips that are just the right length for sharing. 2x Slo-Mo Video - Everything looks awesome in slo-mo. Slow things down to relive funny, interesting or epic moments in all their glory. Share Right to Your Instagram Story - Add your shots to your Story right from the GoPro app—and share all those wet, sandy or snowy adventures you just wouldn’t capture with your phone. Auto Transfer to Your Phone - Go from shoot to share just like that. Your photos and videos move right to the GoPro app so you can post, text, Tweet or Snapchat them fast. QuikStories Enabled - HERO7 Silver automatically sends your footage to the GoPro app where it transforms into a fun, shareable video with music and effects. 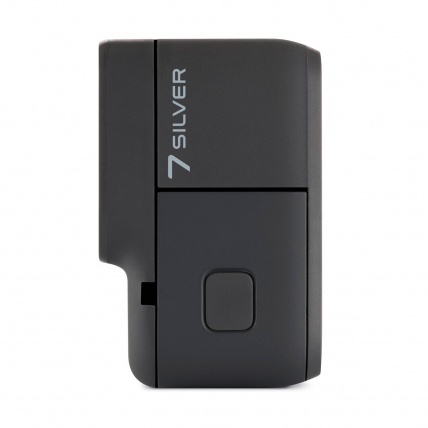 High-Quality Audio - HERO7 Silver records crisp, clear audio. Because sound effects are half the fun. Fast-Charging Ready - Don’t miss out. With the Supercharger power adapter (sold separately), you can charge up fast and get back out there.